A little bit later than I wanted, but the review’s finally up! 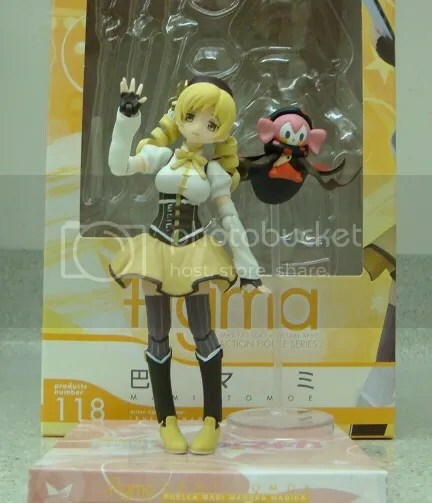 With Moeronpan having done a review of the Mami Nendoroid, and me finally getting my long awaited package in the mail, here’s the review of the Mami Figma! 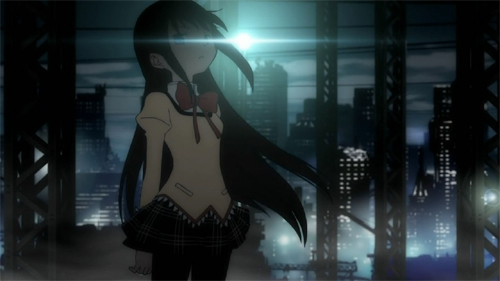 As with Moeronpan’s review, there will be some spoilers for the Madoka anime. 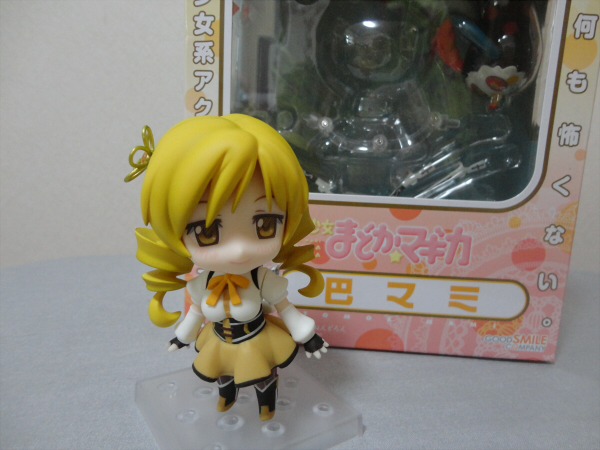 Continuing in my tradition of doing figure reviews months after they actually come out. Let’s see if I can get this done before the figma reaches me! 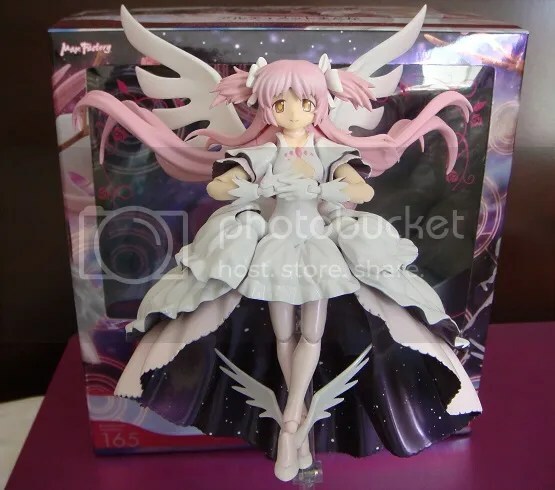 This does contain what is basically spoilers of episode 3 of Madoka Magica but really, if you don’t at least know about the events in the episode I can only assume you live under some kind of internet rock and thus probably wouldnt be that interested in this review anyway. Gaa sorry this took so long to get up, as everyone should know the episodes themselves were delayed and then they came out while I was away, and then I didn’t get to actually see them until yesterday. Note that, although these are two separate episodes, they aired as an hour-long special finale so I will review it as such. Also, and it should be obvious, this is a post filled with spoilers so don’t even read it if you don’t want that. It’s also filled with gushing. 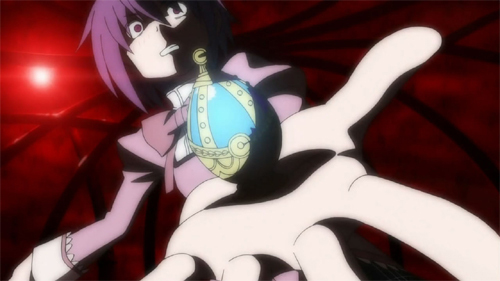 "Hey, how can we make the standard image of Kyuubey look even more nightmare-inducing? I KNOW!" Good grief what a horrible weekend. I’m finally in the right state of mind to start up the reviews again, and I’m sorry about all the delays. Level E and Hetalia will get two-episode batch reviews soon. My heart goes out to all those affected by the earthquake and tsunami in Japan, I myself being somewhat personally affected due to the lives of my friends living in or near the disaster-zones being put in danger. All I can really do is wait and hope and pray and donate to the many charities that are offering relief. 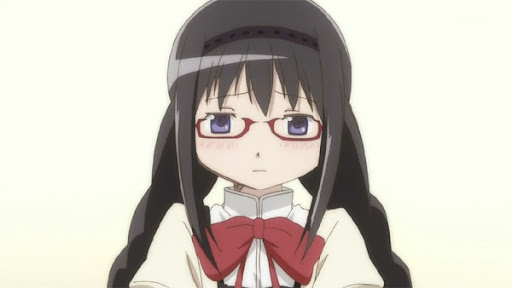 It’s times like this that you really need cheering up, although Madoka Magica is probably not really high on the list of anime you should turn to if you want cheering up. Doesn’t mean it wasn’t a great episode though. dem backgrounds. Also it seems kind of obvious to say it but SPOILERS ARE IN THIS REVIEW. BIG. FAT. SPOILER ALERT do I even have to say this now?